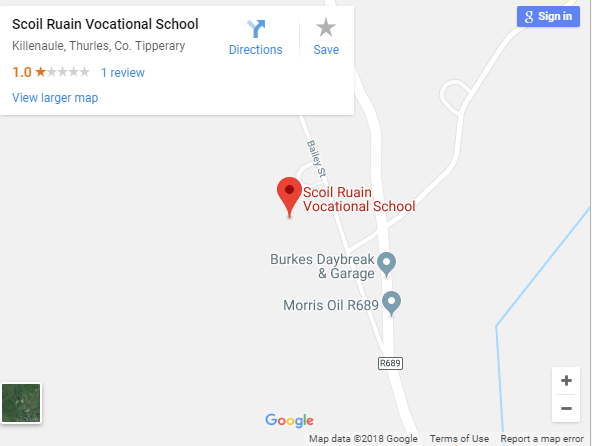 The story of Scoil Ruain began in the 1920s when a school was established at Knockavardagh, Killenaule which provided a two year course of “Continuation Education” for the community. The principal of this school was the late Seamus O Bric, whose drive and initiative provided the impetus that ensured the success of the venture. In 1936 a new three room school was built in Bailey Street, a short distance from the original school. Mr O Bric continued as principal until his retirement in 1964, when Mr TF O Sullivan was appointed. Over the following years enrolments increased and in 1981 the present school at Knockavardagh was opened. Following Mr O Sullivan’s retirement in 1982, Mr Mick Hassett took up the position of principal until December 2002. Mr Hassett continued in his position as Principal until 2002 and he was replaced by Ms. Colette Treacy who led the school forward until 2011. Throughout the years, Scoil Ruáin students have achieved success in many fields such as the humanities, the sciences, engineering, business and the caring professions, i.e. medicine, nursing and teaching. 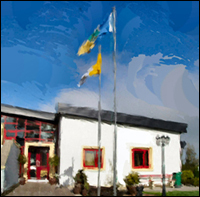 The up-to-date facilities, dedicated and experienced teachers, together with the drive and leadership of the current principal, Mr. Gerry McGill will ensure that the students of Scoil Ruain will continue to achieve their full potential in the challenging and competitive world of today. Saint Ruain came from one of the noblest families in Ireland – the race of Eoghan Mór from North Ossary. He was educated at Clonard in Co Meath and on completion of his studies he came south and founded a monastry at Cill Ruain in North Tipperary. He later founded a monastery at Lorrha where the famous Stowe missal and Leabhar Breac were written. Later still he founded a monastry at Derrynaflan in the townland of Lurgoe near Killenaule. Saint Ruain was a gifted scholar, scribe and historian and it seemed fitting in view of his contribution to culture and learning to name the new school at Knockavaragh after him. 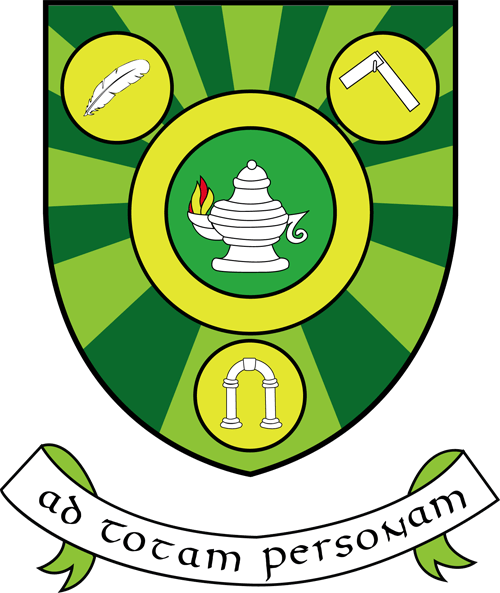 The Chief Herald at the Genealogical Office in Dublin Castle designed the Coat of Arms especially for Scoil Ruáin, Knockavaragh, Killenaule. The annulet or finger ring between three plates is suggested by the beautiful hand settings of the Derrynaflan chalice which was discovered near Killenaule with a hoard of other gold and silver objects. The annulet denotes fidelity and faithfulness. On each of the three plates is placed a device. The quill pen recalls literary skills and is the emblem of the liberal arts of writing and of learned employments. The carpenter’s square represents the skill of hand and eye. The carpenter’s square is used by workmen, “that in all their works there shall nothing be found, done either rashly or by adventure”. The carpenter’s square also shows the desire to conform to the laws of right and equity. The arch suggests the pleasing aspect of a combination of skills. The arch may also be associated with the workmanship of the Gobán Saor, the legendary Irish mason of folklore, whose resting place is said to be at Derrynaflan. The antique lamp is placed in the centre representing learning. The flame represents the zeal to learn. The colour gold denotes generosity and elevation of mind, while green denotes hope and joy. AD TOTAM PERSONAM, the school motto in Latin suggests the school’s aspiration towards educating the whole person.